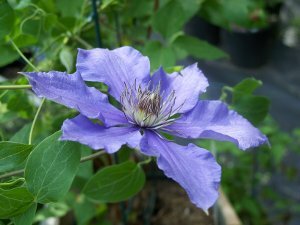 Eyer's Gift Clematis: tall clematis for early season color. lovely shade of light purple with dark centers for contrast. Eyer's Gift often provides a second flush of blooms in late summer!